Daryl Johnson (Worcester Park, United Kingdom) on 31 January 2011 in Architecture. Again, the gritty, dramatic presentation really suits the style. Very dramatic. The angle is perfect. Congrats. This place could be in a horror movie. You know the scene, a rainy night with lightning flashing. @Steve Rice: Thanks Steve! It really could... wouldn't like to be up there late at night! 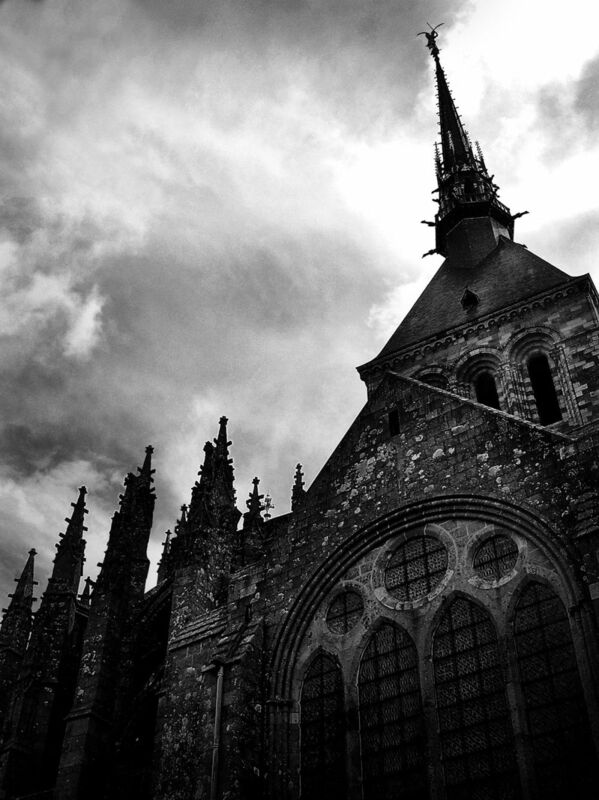 Yet again a great shot of Mont Saint-Michel. Beautiful balance between the angle and the contrast, well done Daryl. This is superb!!! It 's dramatic! Very good angle and choice of tonality! Great interpretation!